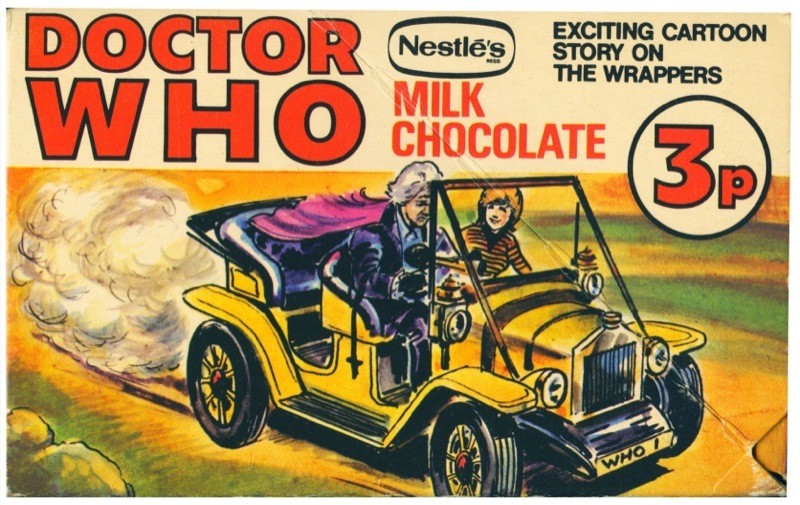 Today it’s picture five of Doctor Who Fights Masterplan “Q” - the 15-part adventure on the backs of the Nestlé Doctor Who Milk Chocolate bars. Having disturbed The Master from his evil plotting, The Doctor and Jo head off in pursuit. Here is a view of the other side to the sweet shop display box.